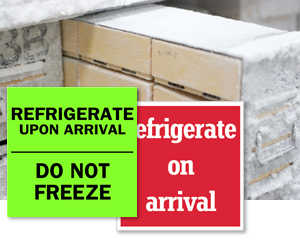 Refrigerate labels keep temperature-sensitive packages from spoiling. Find a range of internationally-recognized labels for marking cargo you store in cool environments. • Choose from various label sizes and designs to suit individual requirements. Stick labels on different sides of cargo to ensure material handlers don’t miss instructions. • Durable labels with permanent acrylic adhesive stick easily to boxes, crates, plastic drums, etc. • Sold in convenient rolls of 500, get maximum value for your money. 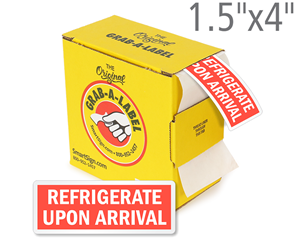 Also offered are labels with handy dispenser box that makes using labels convenient. 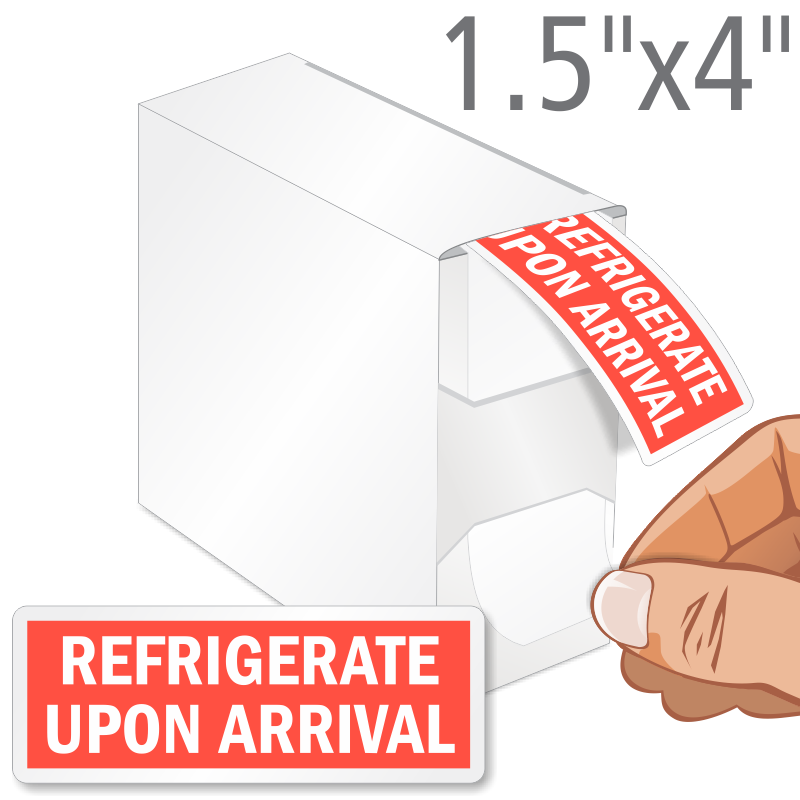 Durable and affordable labels with strong adhesive for temperature-sensitive packages. Great customer service. Order arrived on time, thank you. They work well with our product. Thanks. Shows up well on the standard USPS boxes unlike the red and black labels. they are perfect for our needs.